Welcome - Your Pet Can Save Lives! The Care Center Animal Blood Bank is a well-established, full-service, non-profit veterinary blood bank located at Care Center in Cincinnati, Ohio – a 24/7 Emergency and Specialty Hospital. Our blood bank offers our veterinary community a full assortment of blood products ready to administer should your pet become critically ill and/or require a transfusion. 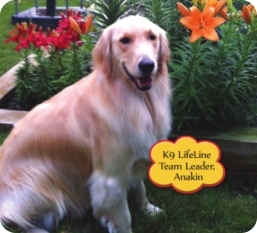 We are pleased to partner with Royal Canin to provide this valuable, life-saving service. We have developed this website to help you learn about the importance of our blood bank, the benefits of having your pet become a donor, and to pay tribute to our donors and recipients. If you are a veterinarian in need of blood products, please call: 513-530-0911. "Hey there! My name is Ella. I am a four-year-old Great Pyrenees. Last month I decided to go explore our neighborhood on my own. Why Do We Need An Animal Blood Bank? Like humans, there are times when our canine and feline companions may have an urgent need for blood or plasma. DONATE BLOOD WITH YOUR DOG! Copyright @ 2013 Care Center. All rights reserved.